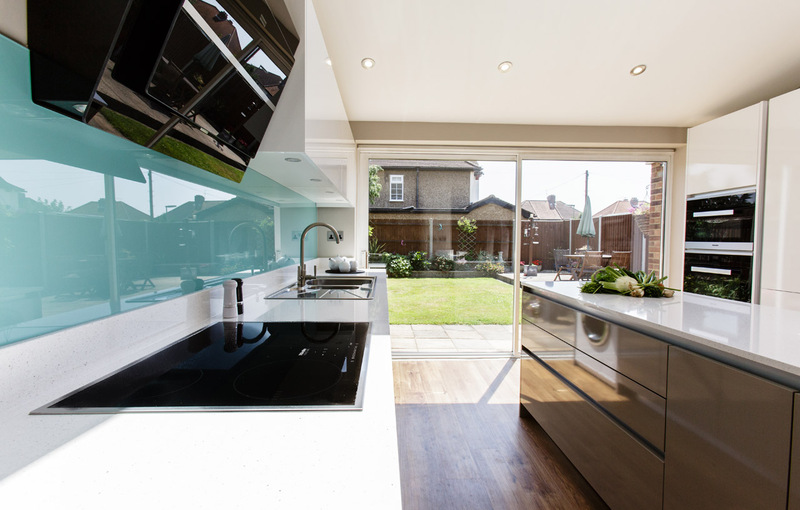 Having experienced and enjoyed a bathroom makeover from Sanctuary, these clients returned to us when they wanted a complete kitchen transformation. 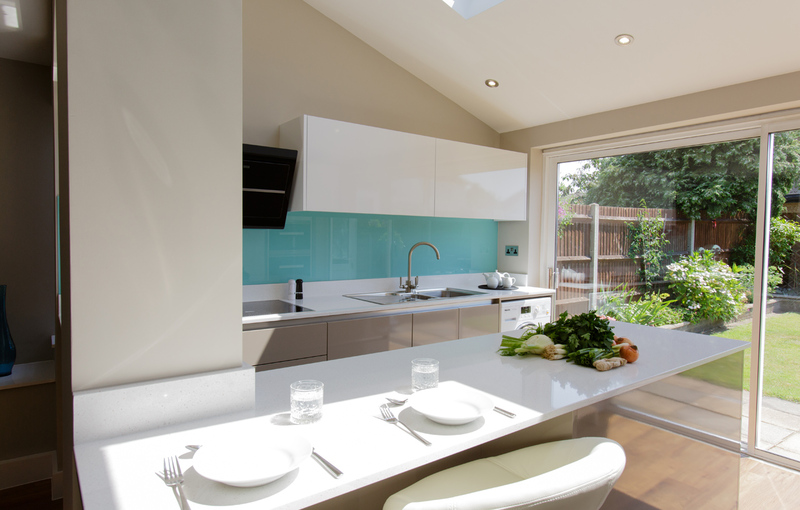 We washed away the dark look of the original gloomy kitchen which had mock beams and a flat roof and replaced it with a stunning, light-filled room with roof lights and a sloping ceiling. 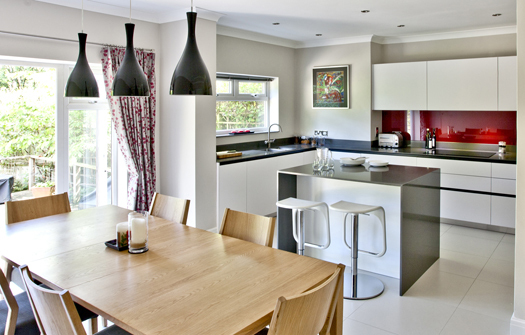 We used oak Karndean flooring throughout the ground floor to emphasise the open-plan dynamic of the whole space. 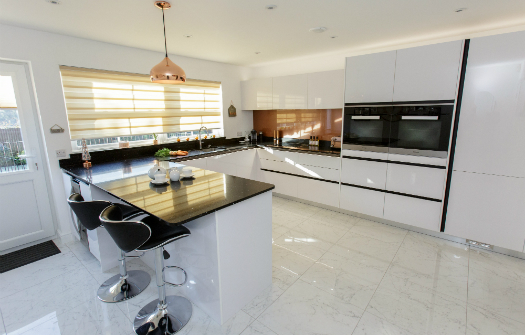 We used gloss white and cappuccino handleless units from Pyram to allow light to reflect across the space. 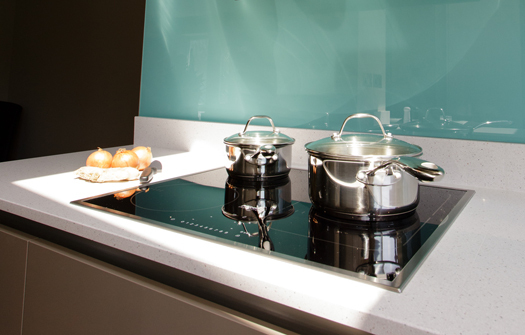 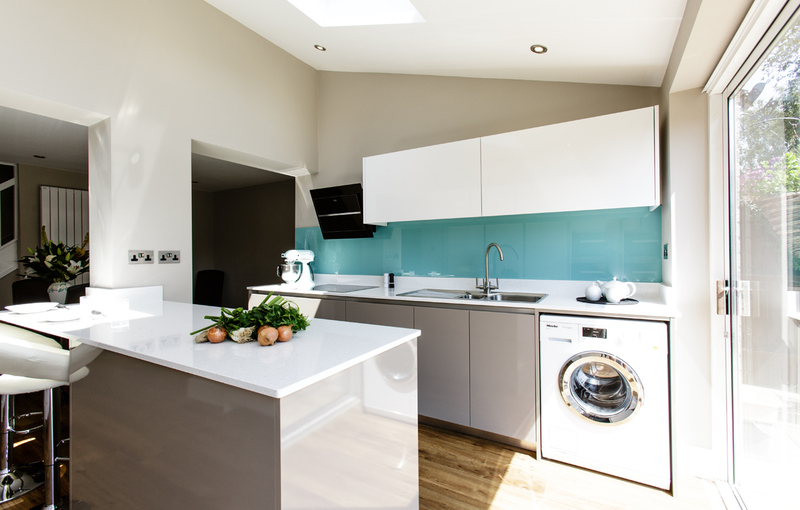 Striking polished white worktops add a modern touch and the aqua glass splashback brings a fresh feel to the bright new kitchen. 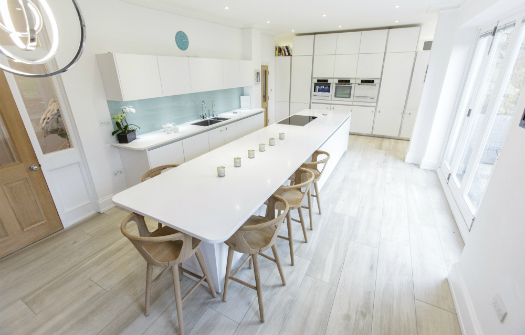 As baking is a popular pastime in this lovely home, we created a new island with a breakfast bar as a perfect ‘Bake Off’ platform for use by the whole family.